Citation: Lu, C., & Straubhaar, J. D. (2014). 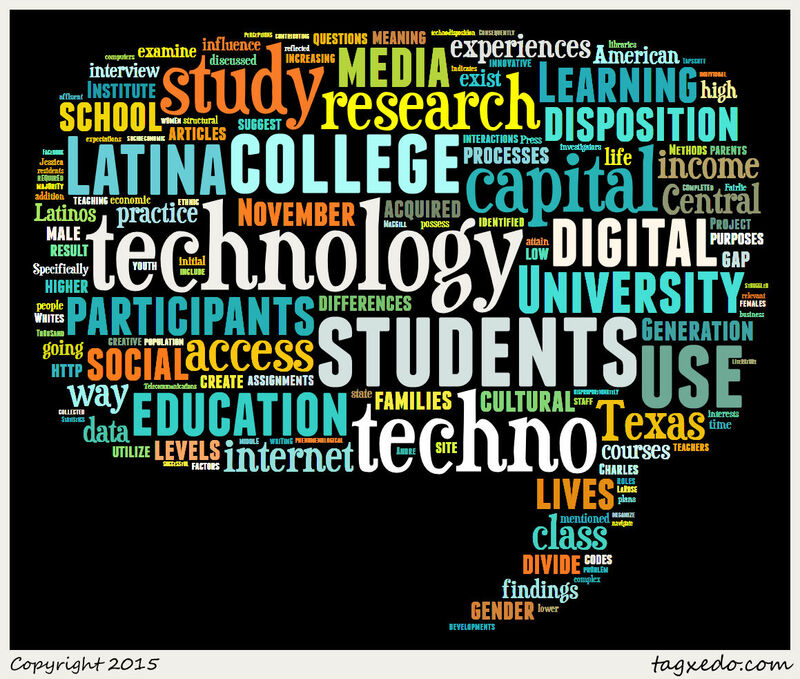 The influence of techno-capital and techno-disposition on the college-going processes of Latina/o college students in Central Texas. Learning, Media and Technology, 39(2), 184-198. 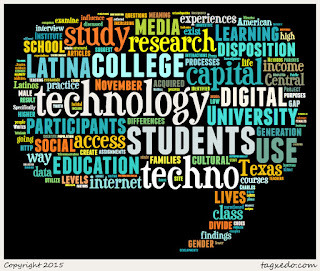 Summary: The authors pointed out that current research shows Latina/os have less access than whites and focused this qualitative study (20 semi-structured in-depth interviews with Latina/o students) on a predominantly white institution in Texas to understand how techno-capital and techno-disposition influence the daily lives and college-going process for Latina/o (particularly along class and gender lines). The authors used the Bourdieu inspired term, techno-capital to capture the essence of access and knowledge to technology. Techno-disposition refers to how one’s attitude towards technology. The interviews produced two major themes: complex dynamics between techno-capital and techno-disposition and differences in approaches and use of technology via gender. Those without personal techno-capital were well aware of their digital divide and the digital expectations of their instructors. Low techno-capital in high school resulted in further struggling in college. Students’ techno-disposition along gender lines revealed women using technology more to connect, learn, and get help for their learning while men used it more for financial or business purposes. The study emphasized that those who have sufficient techno-capital were often oblivious to the struggles of those without it. It reinforced the role that parents, peers, and schools play in developing techno-capital in a student and highlighted the technology-skills assumptions colleges have about students despite their potential lack of techno-capital.